Hibs defender Efe Ambrose has earned himself a Championships winner’s medal after making his ninth league appearance in Wednesday’s victory over Raith Rovers. The on loan Celtic centre-half was the only player to keep his place in the side for the visit of Rovers after head coach Neil Lennon made ten changes to the team that lost to Aberdeen in Saturday’s Scottish Cup semi-final. SPFL rules state that players must play in at least nine matches, whether starting or as a substitute, in the second tier to qualify for a medal, although Hibs could appeal for more mementos for squad members that fail to reach that milestone. 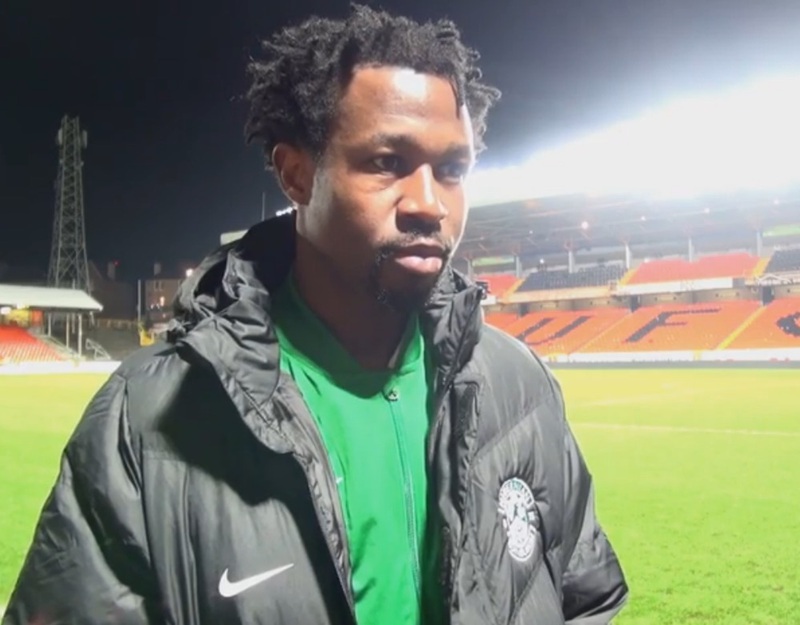 Nigerian internationalist Ambrose, who moved to Easter Road in January, will not get his hands on a Premiership winner’s medal, however, after failing to make a single league appearance under Brendan Rodgers at Parkhead. Celtic midfielder Kris Commons will not receive a Championship medal after only making five league appearances during a month-long loan at Hibs at the turn of the year. With two games left, Alex Harris (5), Chris Humphrey (5) and Brian McLean (2) will also miss out. Clubs are given a certain amount of medals. They can distribute them as they see appropriate. If you play a certain amount of games you automatically qualify, but youth players get one for being on presentation day.